First time cruiser? If you are anything like me, you probably have a million questions running through your head right now. Which cruise should I pick? What do I need to pack? 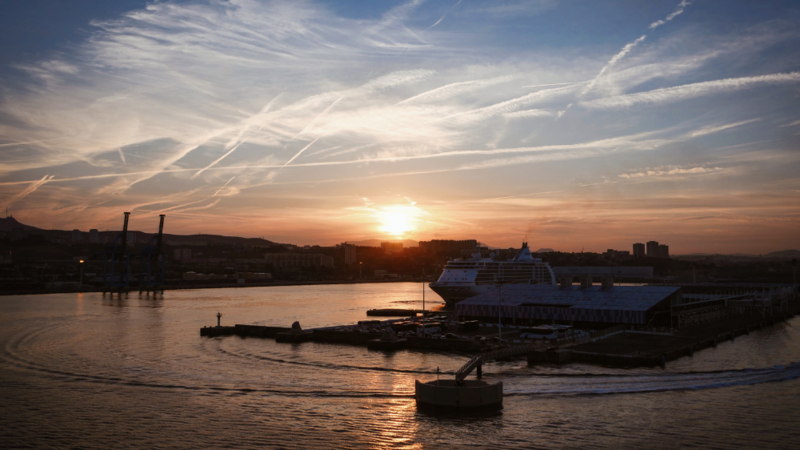 What can I expect from a cruise holiday? Let me start by saying that you are not alone! Before my first Princess Cruise experience a few months ago, I had no idea what I was in for. I couldn’t have predicted just how much I would fall head over heels for this style of travel! 1. What part of the world do I want to visit? 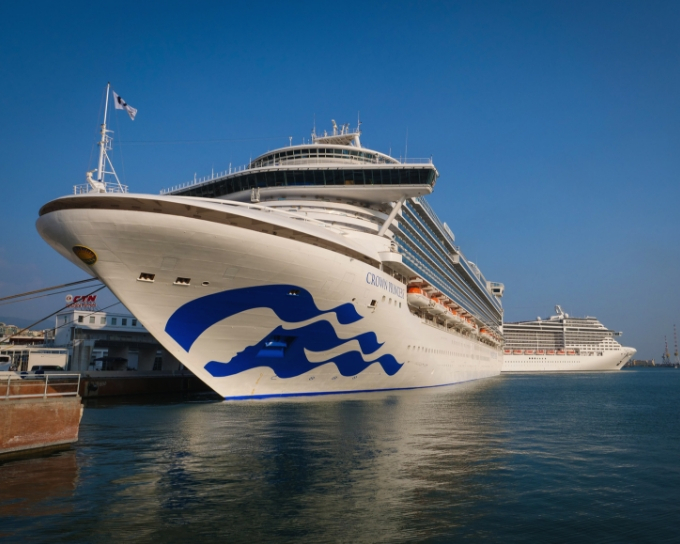 Princess Cruises offer trips all over the world, with destinations such as Alaska, USA, Caribbean, Europe, Japan, Mexico and many more, so take some time to think about the destination, not just the cruise ship itself. 2. What kind of ‘vibe’ do I want on my cruise holiday? 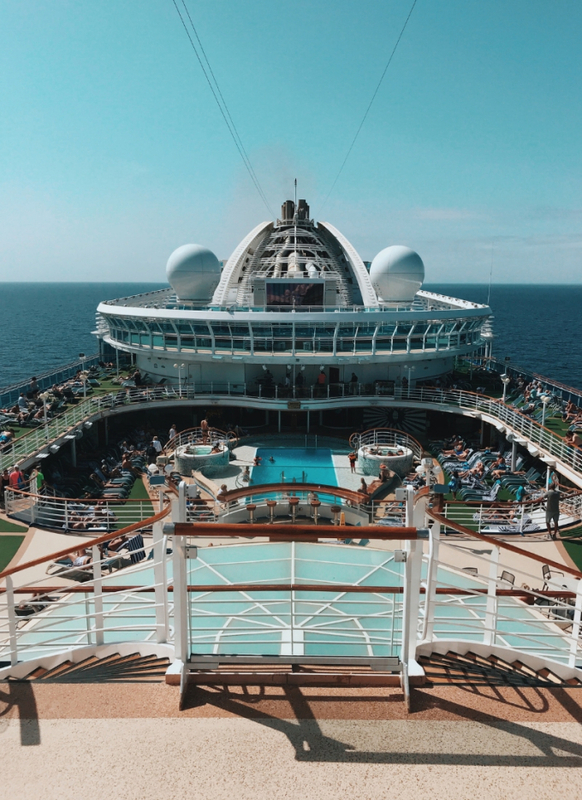 There really is a cruise for everyone out there, so it’s important to know what type of atmosphere and overall tempo you want for your trip. Are you on the search for a romantic getaway? Hoping to dance the night away with other cruisers? Plan on sitting by the pool all day? Make sure that you are choosing a cruise that you are really going to enjoy. 3. What kind of experiences do I want to have? 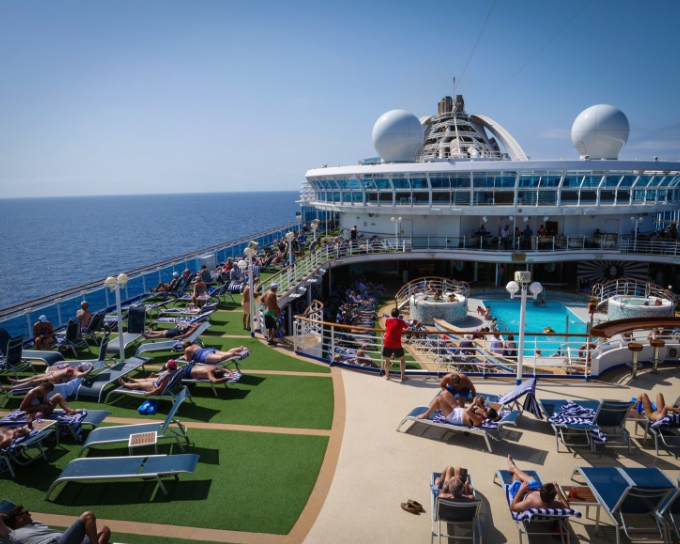 Similarly to above, if you are happy to sit by the pool for your trip, you can search for cruises that have more days out at sea. If you are in the mood for adventure, go with a destination like Alaska or Mexico, where you can explore glaciers and ancient ruins. 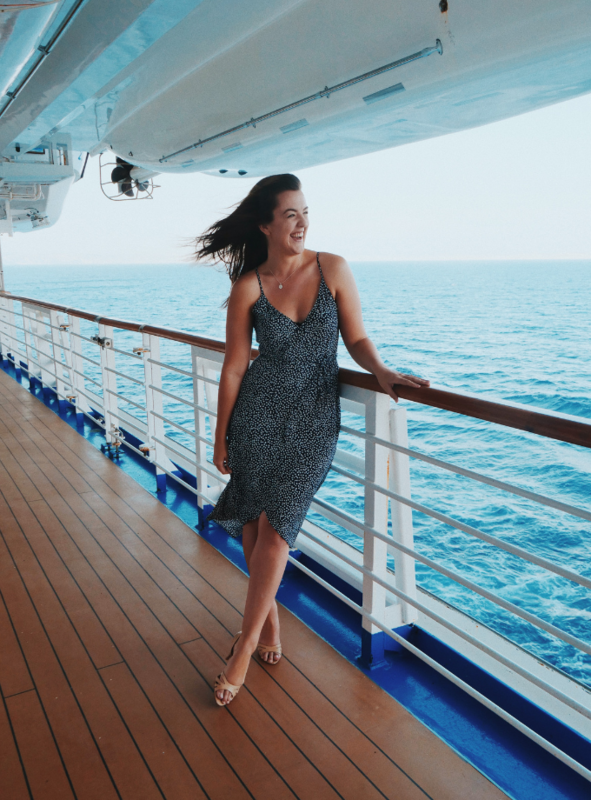 No matter how many blog posts I read, or videos I watched, I was still convinced that I didn’t pack the right clothes for my first cruise (& unfortunately I was right!). Here is exactly what clothes you need to pack for a 7 night cruise – nothing less, nothing more! Swimsuit Coverup – The cruise will provide towels onboard, but you may want to pack one of these for your beach days. 14 Pairs of Underwear – You’ll want to freshen up in the evening! You can wash your clothes on the ship, but it’s better not to have to worry about that. Flip flops or Sandals – Essential for your pool days! Trainers – For your on-land exploring. Comfortable clothes – For when you’re relaxing on the ship, sitting by the pool, hitting the gym etc. 2-3 Formal Outfits – This is where I messed up! 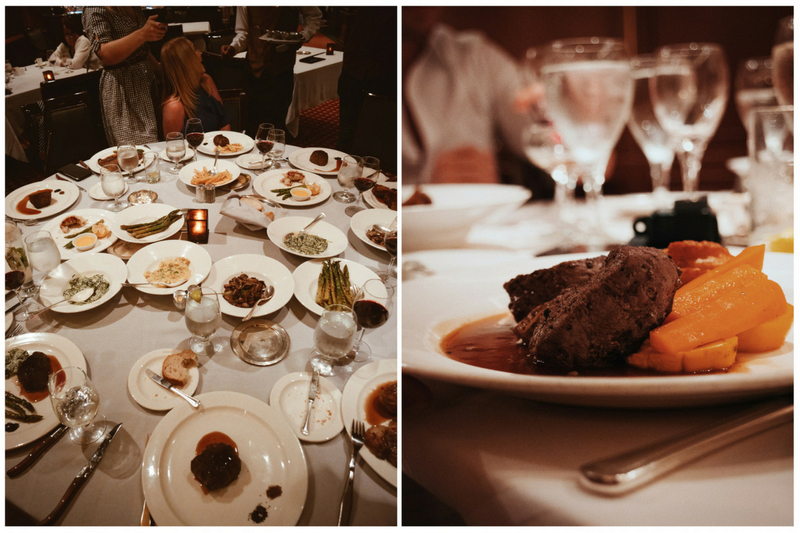 A lot of people take Formal Night very seriously onboard, so you can get as dressed up as your heart contents! The men usually wear suits, while the women wear formal dresses. Don’t forget to pack appropriate shoes for Formal Night. A Jacket or Hoodie – If you’re lucky you won’t need it, but it’s better to be safe than sorry with this one. Adapter – If you can find one of those international ones, even better! Portable Charger – especially for the days your out exploring on land. Suncream – It might feel nice and cool as you’re cruising through the sea, but trust me, that sun is beaming down on top of you for the entire day. Aloe Vera – You can’t be too careful when it comes to sunburn. Snorkel – If you’re planning on jumping into the sea, you’ll be glad you brought your own when you see how much people are renting them for each day. Hat – This is the one thing I always forget and always wish I had. Sunglasses – We’ve all forgotten them before. Copy of your passport – Just incase! Small Backpack – to pop your stuff in when you’re exploring on land. 2. Motion Sickness isn’t as bad as I thought – Thank Goodness! I am notorious for getting motion sickness no matter what method of transport I take, so I was 100% sure I would suffer from sea sickness on board. I couldn’t believe it when I woke up on day 2 and felt fresh as a daisy! I know this isn’t the case for everyone, so I would recommend bringing your own motion sickness medication or wristbands to help prevent this (they also have sickness tablets are available 24/7 at the reception of the cruise ship if you’re stuck). This was delivered to our Princess Cruise State Room every evening, which is the perfect time for you to plan out your activities for the next day. There are so many events, classes and performances taking place across the ship every day, that if you don’t do some planning, you could miss out on something you would really enjoy! The cruise organise day trips and activities for people to enjoy on land, but be aware that these are very popular among the cruisers, so if you have your eye on a specific experience, get in there fast! 6. You’ll never be bored onboard! Before we embarked, I was convinced that 2 full days on the ship was far too long, and I would start to feel a little bit of cabin fever. I couldn’t have been more wrong! I actually wish we could have had more days to stay onboard! I will put my hand up and say I don’t think there has been a single day in the past 10 years that I haven’t been online. That’s pretty scary to wrap your head around and is definitely something that I need to work on. Can you think of a better place to switch off than in the middle of the ocean? #1 When it comes to food – try everything! If you can’t decide what to go for on the menu in the main dining hall, why not go for both? Your waiter won’t mind if you would like to try 2 of the main courses, or go for a smaller portion of the main for your starter. Take full advantage! You may be surprised to hear that Cruises can be a great place to meet new people and make lifelong friends. With so many different activities and classes, you can find yourself waltzing with strangers or getting creative with a fellow artist on board. The more you put yourself out there, the more you’ll take away from the cruise experience. I hope this helps to ease the nerves before your first cruise ship experience. Just remember that once you get on board, you won’t have a care in the world. If you have any questions about cruise life, leave them in the comments down below or write to me on Instagram. 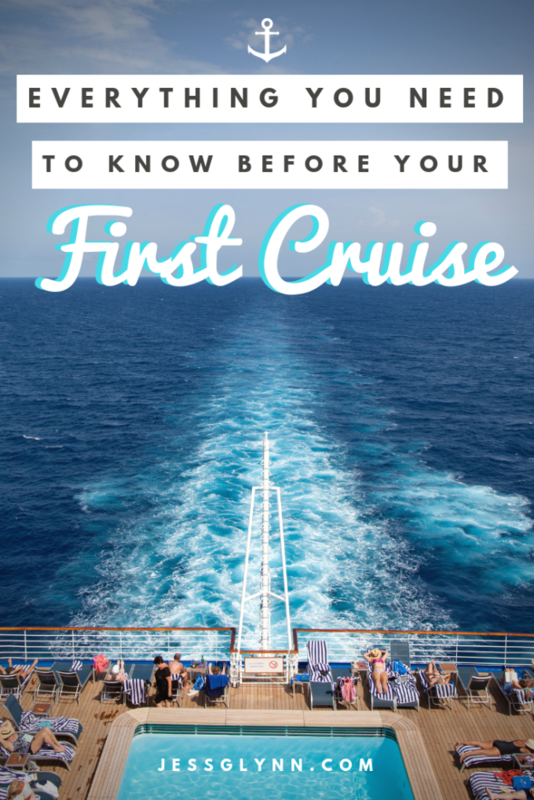 If you have already been on a cruise and you’ve got some awesome advice for first time cruisers, post it below and I’ll be sure to keep updating this blog post for everyone to benefit! Why not pin this post for later, so you can access it again when you decide the perfect time to book your trip!